It’s been a busy couple of months for me on the Power BI front. 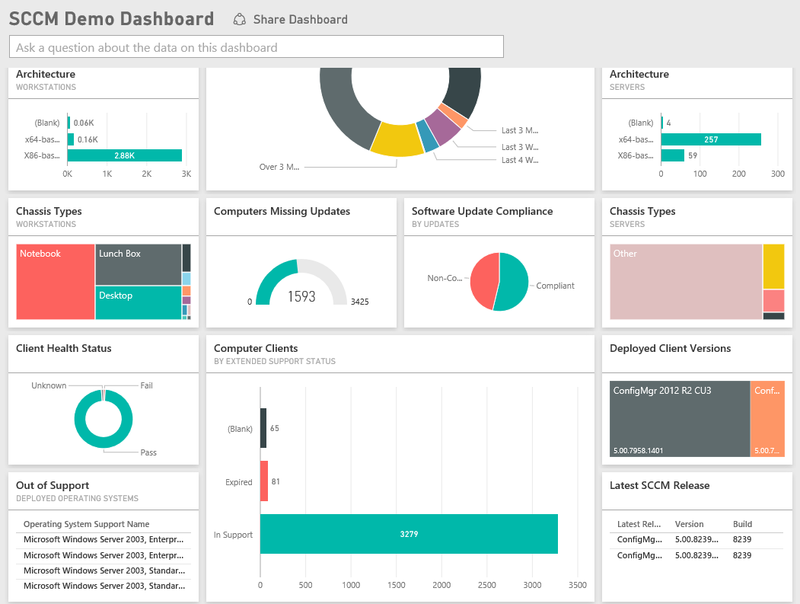 Following the success of my Power BI SCCM Dashboard (see previous post here), I’m pleased to announce version 1.4! This version is a little different though as its the first version with the PowerON brand and its packed with improvements for the community to use. 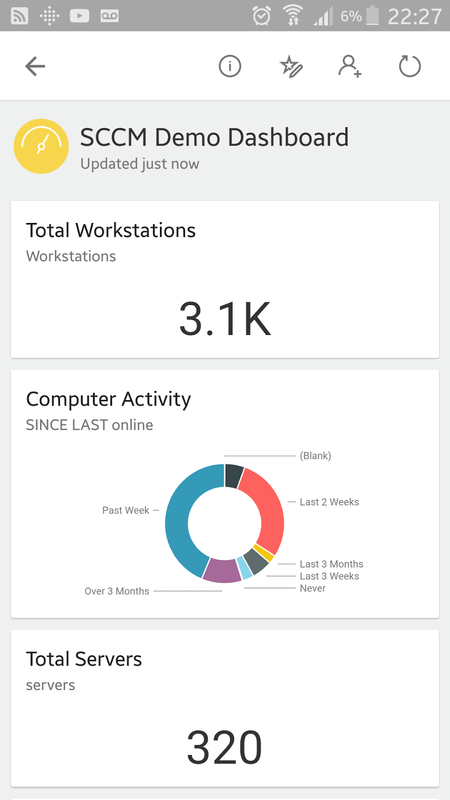 It’s been a natural progression with the dashboard and with the great things we’re doing at PowerON on the BI front, we felt it was the right time to improve the dashboard and showcase some of the innovate things we’ve implemented in other system center reports. With this now coming under the PowerON brand, we’re also adding the option to contact PowerON for more advanced consultancy, customisation and enablement support contracts of the dashboard. This contains a breakdown of your site workstations admin info additional to the workstation breakdown. The site admin view queries the configmgr dogs technet post for the latest SCCM release. It also queries the Microsoft support life cycle site and checks for expired or expiring operating systems currently deployed which you will need to address. This view contains summary information on Managed Mobile Devices in ConfigMgr. It allows you to view things like Make and OS version of devices connected. Download the lastest Power BI desktop here. I found out the problem. It's not a problem but just a mislabel!